Alpha Art Studio and Gallery in Wellington buzzes with activity. Located in the creative core of the CBD, its walls overflow with artwork, and the people appear happy and friendly. Like many creative spaces, Alpha Art Studio has constraints: money, time, resources and people. Team leader Joanne Ridley runs the space with all of the skill, determination, passion and efficiency of a team of people. 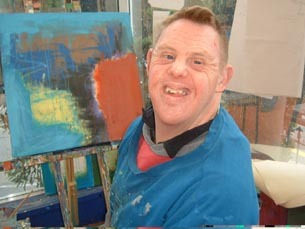 The programmes are developed from the ideas of both the artists and the support workers. The projects and programmes are driven by what ideas come out of the monthly studio meetings and from the artists’ individual personal plans. Artists are supported in the direction they want to go in and get to socialise and have fun while they explore their creative side. 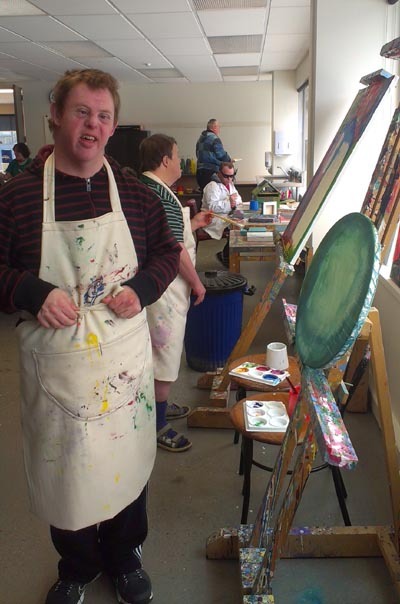 The activities range from drawing and painting to weaving, collage and sculpture. There are some secondary activities like swimming and computer classes. Of the 28 artists at Alpha Art Studio, several of them have been attending since its inception in 1996. The studio originated as the Jessie Street Art Studio and changed its name when it first moved in 1999. It's now located at level 1, 150 Cuba Street. A new lift means it's wheelchair accessible. The studio incorporates a gallery and holds public exhibitions. “The neat thing about how we’re set up is that first of all, we have a gallery on site, but also it’s open in a way where the public can come and view the work displayed in the gallery, and at the same time see the artists at work,” Joanne says. Joanne holds a fine arts degree majoring in sculpture and a Post-Graduate Diploma in Teaching. Artists receive 50 per cent of proceeds on work sold. The other half purchases much-needed resources and materials. Alpha Art Studio holds an annual group exhibition at Thistle Hall. There are two to three more in-house exhibitions held every year. The artists regularly enter the IHC Telecom Art Awards and the New Zealand Art Show, with much success. Two of Alpha’s dedicated artists, Ashok Bava and Martin Kerschbaumer, were finalists in the IHC Telecom Art Awards in 2010. Original generation time 2.0261 seconds. Cache Loaded in: 0.0004 seconds.